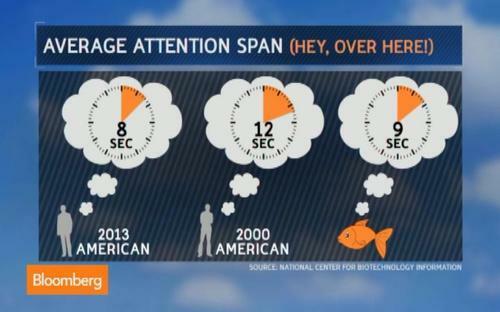 According to a study reported upon by Time Magazine back on May 14th of 2015, Americans now have a shorter attention span than that of a goldfish on average. Reporting that in the age of the cell phone, 'digital distraction' generally causes most people to lose concentration within 8 seconds, the study showed a 1/3 drop from the 'average' 12 second attention span the 'average' American had back in the year 2000. The survey also confirmed generational differences; for example, 77% of people aged 18 to 24 responded "yes" when asked, “When nothing is occupying my attention, the first thing I do is reach for my phone,” compared with only 10% of those over the age of 65. 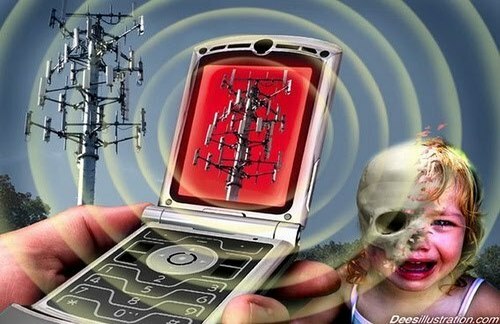 And as we learn below, some experts are now warning that new cell phone technology, being unveiled nationwide by 2020, could turn America into one gigantic but invisible 'killing field' and 'gestapo-like tactics' are being used to censor this information. At the end of the very brief 7 paragraph Time Magazine story the author quite appropriately ended with: "And now congratulate yourself for concentrating long enough to make it through this article." With such short attention spans also helping to explain why the American people have become such easily controlled sheep, it's long been warned that the deliberate dumbing down of America was absolutely necessary for the 'elitists' to maintain their control over our nation in an attempt to blend us into slaves within a global govt 'new world order'. While only 10% of those over the age of 65 instinctively grab their cell phones when nothing else is occupying their attention, the fact that 77% of those between 18 and 24 would do so is quite alarming. With 84% of Americans claiming they can't go a day without their cell phones according to another recent study, how long will it be until our cell phones are 'surgically attached' to our heads? Before you call such a statement 'fake news', all we need to do is take a look at the technology coming forward in 2017 which already seeks to blend man and machine. As billionaire entrepeneur Elon Musk (who launched 'Neuralink', a venture to merge the human brain with AI) recently warned, “Over time I think we will probably see a closer merger of biological intelligence and digital intelligence.” He added that “it's mostly about the bandwidth, the speed of the connection between your brain and the digital version of yourself, particularly output." With the average American attention span averaging only 8 seconds helping to explain the 'dumbed down' state America is now in, it also helps to explain why the globalists can continue to get away with one thing after another. Perfectly exemplified by the announcement made on September 10th of 2001 by DOD head Donald Rumsfeld that $2.3 trillion was missing from the Pentagon, any talk of the missing trillions had vanished into the wind by the following day. Also exemplified by Hillary Clinton being able to run for President of the US and almost winning despite an endless list of scandals that dwarf anything related to President Trump, we see the short attention spans of Americans being used every day by those intent upon bringing our nation down. With the mainstream media's role in helping to 'dumb down' Americans clearly defined as shared in this June 29th story from Susan Duclos on ANP called "MSM Inflicting Carnage Upon America By Dumbing Down Half The Population - With Russia BS Story Dead, Media Manufactures New Scandals", we see great truths in this new story from Zero Hedge called "Is This The New Media Normal: Manufactured News For Hire?" According to this recent story from Activist Post which reported upon one recent medical research study, the negative health effects of cell phones lag only behind those of smart meters when it comes to 'advances in technologies' that have been proven to be hazardous to our health. With 5G 'set to revolutionize the tech industry' according to this recent story from The Nation which claims it will provide "100-times-faster communication speed than the current mainstream technology used for smartphones" while also reporting "it holds the potential to significantly change the way we live and work", the negative health effects of 5G can't be overlooked. According to the Institute of Electrical and Electronic Engineers journal of Microwave Theory and Techniques, the younger a person is, the more deeply cell phone radiation penetrates the brain. While the thickness of an adults skull helps prevent as much radiation getting into our brains, as we see in the graphic above, it's long been warned that the health effects of cell phones on children is much greater than that upon adults. According to military and health experts quoted in this January of 2014 story from Waking Times, wi-fi itself should be looked at as 'an invisible killing field'. “There are no safe levels of radiation” warned Barrie Trower, a physicist and former military expert on microwave radiation. Warning us then that over many years now, and secretly for decades, scientific and medical evidence has conclusively proven that low frequency pulsed radio and microwave frequencies are causing significant damage to our cells resulting in extreme increases in autism, heart irregularities, brain wave changes, cancer and generational fertility destruction in males but even more significantly in females, what damage might 5G be capable of doing? As their story goes on to report, the most prominent changes due to WiFi radiation though is with our children and teenagers due to their developing immune systems and thinner skeletal structures. 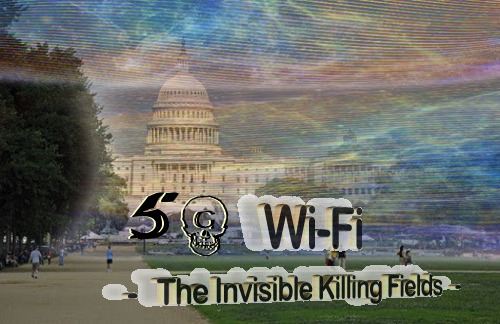 With it proven that 5G criticism is being heavily censored while the globalists are preparing to break it out across the country, the 2nd video below takes a look at the invisible killing fields that 5G will bring. 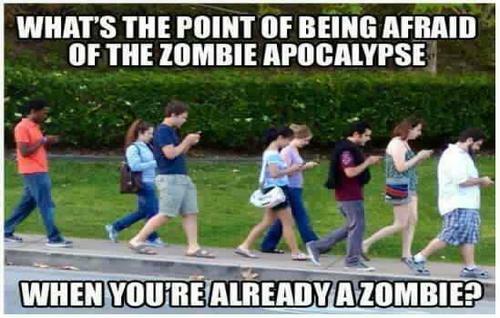 The first video below takes a look at the rise of the 'robo-people' with an excellent compilation proving Americans are losing touch with reality as they become more attached to their cell phones. As Natural News reported back in February of 2017, the FCC has abandoned safety while pushing untested 5G upon the public. And as Dr. Axe also reports, there is a very long history in America of products being rolled out without being adequately tested if they can bring in a lot of money to those who created it and according to him, there is still a great deal about the rollout of 5G that health experts don't yet understand. And while some might call these warnings 'conspiracy theory', we remind you that back on October 17th of 2008, nearly 10 years ago, Natural News published a story titled "Cell Phones May be Wiping out Bees and Affecting Health of Humans". Called 'conspiracy theory' by many back then, we now learn that the US Fish and Wildlife Service has named several different American bee species to the endangered species list, providing more evidence that 'conspiracy theory' is simply 'truth before they want us to know it'. And if you've made it this far, you, too, have a much greater attention span than most Americans. Congratulations!